The Russian banker under scrutiny for money transfers to the National Rifle Association said that the organization helped him meet President Trump. Alexander Torshin, a deputy head of Russia’s central bank, is one of his country's strongest supporters of the NRA, even hosting dinners for an American delegation that came to Moscow in 2015. A report earlier this year said that federal investigators were looking into whether his payments to the group were funneled towards Trump’s election as part of what Fusion GPS investigator Glenn Simpson said was a “very concerted effort” by Russian officials to get in with the gun lobby. Further digging by NPR into Torshin's prolific Twitter use found that he also mentioned in December 2015 that he knew the then-candidate. Responding to a tweet from a Russian journalist about Larry David saying Trump is racist, Torshin said “comics should make people laugh! Right? There he is trying! I know D. Trump (through NRA). A decent person." Other tweets show Torshin, a lifetime member of the NRA who met with Donald Trump Jr. in 2016, talking about meeting top officials in the group including during the late 2015 Moscow trip that included Trump-supporting Sheriff David Clarke. It is not illegal for foreigners such as Torshin to be part of the NRA or for them to give funds to the group, though it would break federal law for the NRA to use those funds for election purposes. 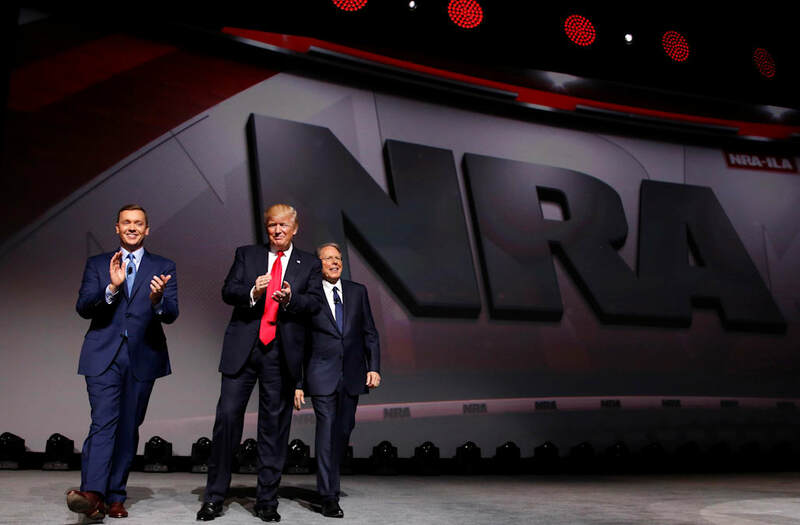 The NRA, currently under pressure for opposing even moderate gun reforms such as raising the age to buy an assault rifle, spent $55 million on the 2016 election, including $30 million for Trump. Torshin has previously been accused of financial wrongdoing by Spanish officials who said he helped launder money for the Russian mob on the resort island of Mallorca. Trump posted on Twitter Thursday that he had a “good (great) meeting” with the NRA.